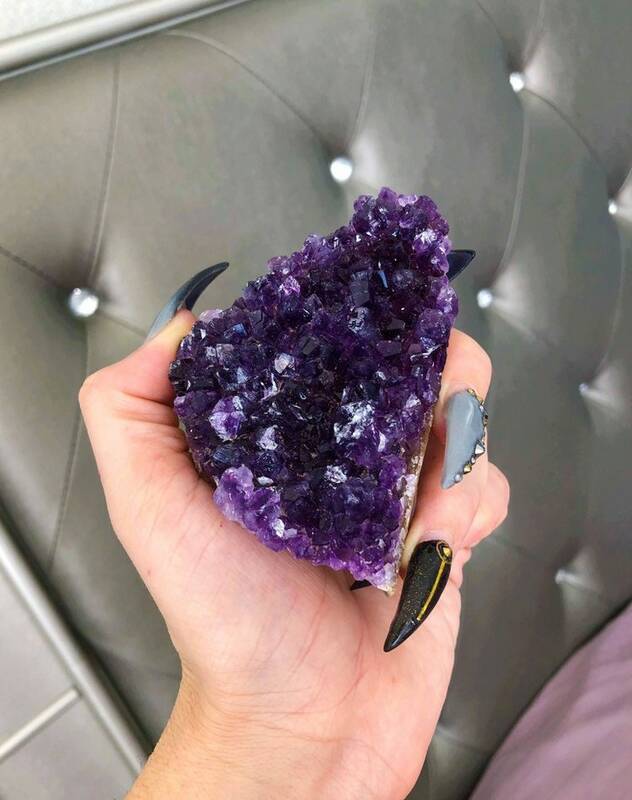 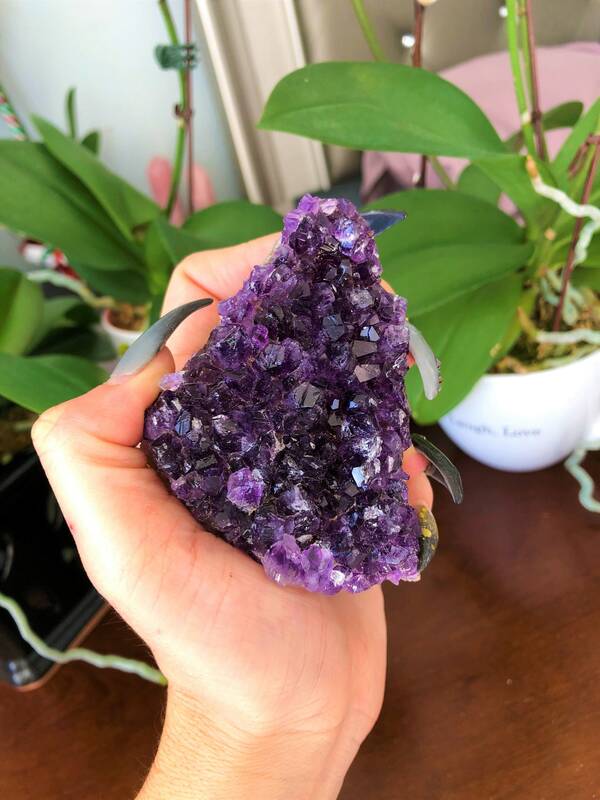 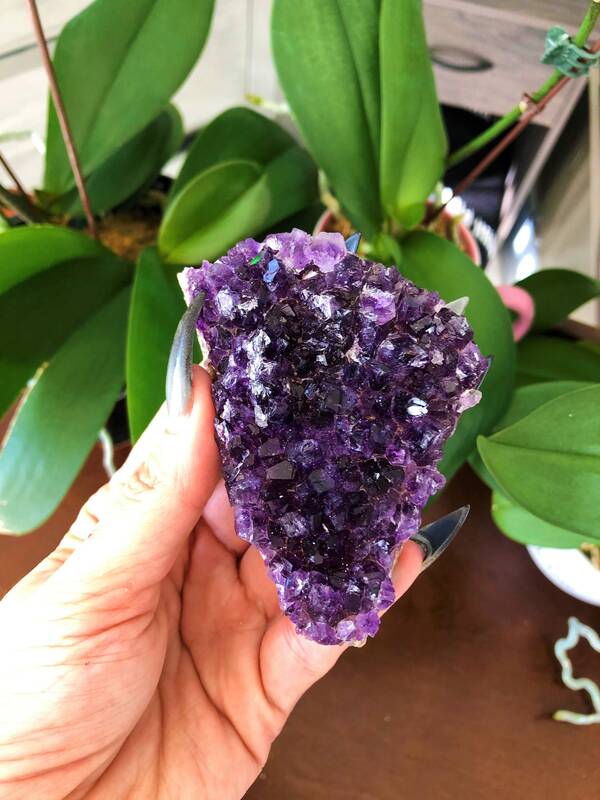 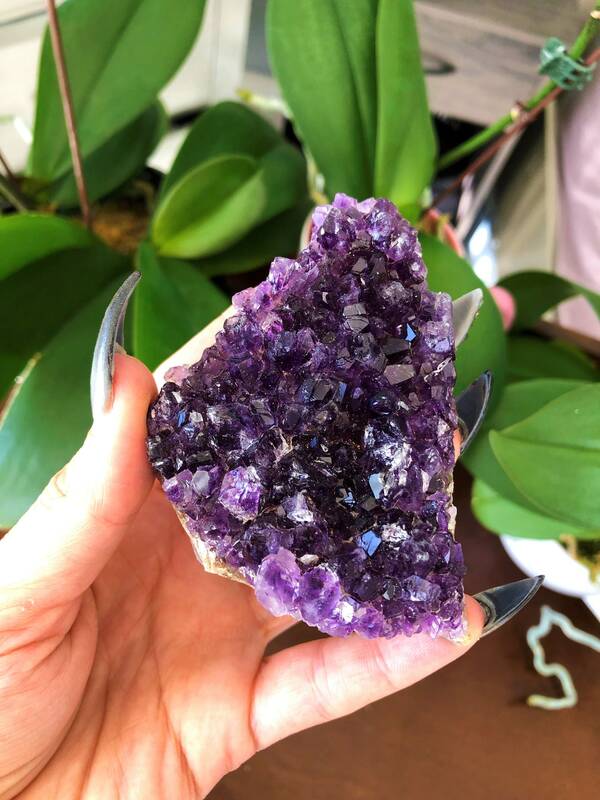 Receive this beautiful deep purple Amethyst cluster that came from Uruguay. 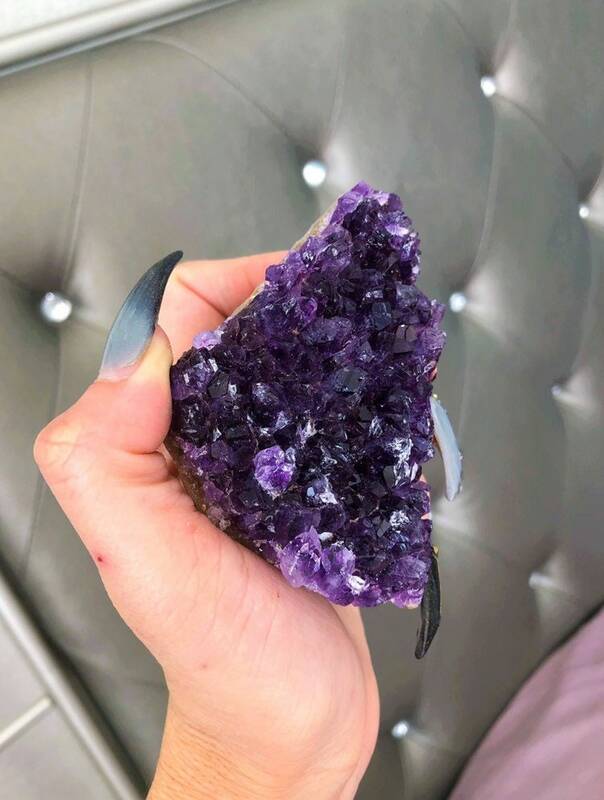 Amethyst has strong healing and cleansing energies. 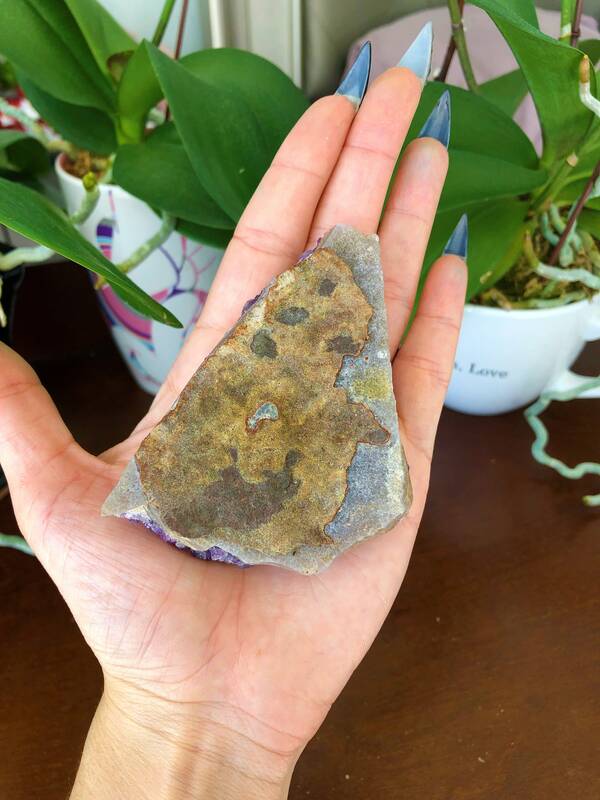 It calms the mind, helping you become more focused, enhancing memory and improving motivation.